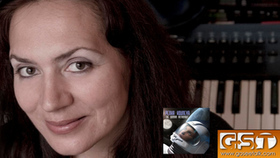 Game & film composer of "exquisite talent" (Forbes) Penka Kouneva scored PRINCE OF PERSIA: FORGOTTEN SANDS, THE MUMMY VR game, and a $30 multimedia NASA exhibit HEROES AND LEGENDS at the Kennedy Space Center. 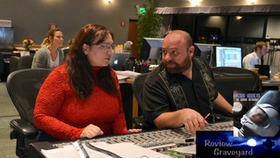 She also composed on Activision's TRANSFORMERS: REVENGE OF THE FALLEN game (with themes by Steve Jablonsky). Her music is a blend of her Eastern-European upbringing, classical training, modern film & game music, and influences ranging from rock, electronica, Medieval chant to non-Western music. In Hollywood Penka is known as an artist of uncommon talent and passion. 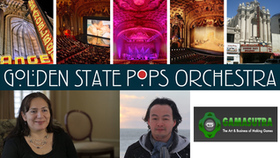 Penka's composer awards include: SUNDANCE Fellowship, two Ovation Awards, The Copland Award, Hollywood Music in Media Award, among many others. 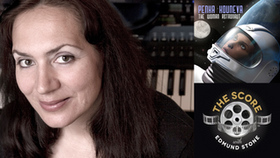 Penka is a Universal Music-released artist with THE WOMAN ASTRONAUT, 2015 (on Varese Sarabande), which received worldwide acclaim as a "21st-century masterpiece" (NPR) and "fantastic" (Billboard). 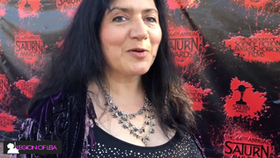 Her film scores include DEVIL'S WHISPER (Sony Pictures), MIDNIGHT MOVIE (AMC), and the breakout features for Chloe Moretz (The Third Nail) and Josh Duhamel (Dorian Gray). Like a great musical storyteller, her music carries the listener forth on an emotional wave, with soaring themes, innovative orchestral and digital textures, and primal percussion. During the decade of raising her family Penka also worked as an orchestrator and Lead orchestrator on films and games grossing $15 billion worldwide. (Films: Transformers franchise, Matrix, Ninja Turtles, Elysium, Ender's Game, Need for Speed; and games: Overwatch, World of Warcraft, StarCraft II, Diablo III, Gears of War 2, 3; 2015 Game of the Year Bloodborne, Sims 3, Dragon Age 2, Enter the Matrix). 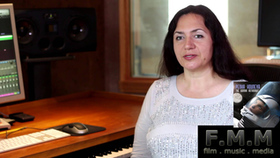 She made Hollywood history as the first woman Lead Orchestrator on blockbusters after Shirley Walker (in the 1980's). As an extraordinary mentor & industry leader, Penka has nurtured and opened life-changing doors for many young composers. 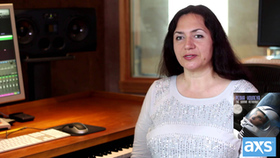 Penka was born and raised in Sofia, Bulgaria, received classical training in piano and theory, and began composing incidental music for kids' theater at the age of 12. In 1990 she ventured out of Bulgaria with a Duke University composition fellowship and $130 in her pocket. In 1997, she made history at Duke by receiving the first-ever Doctorate in Composition from this distinguished institution. At Duke, she studied with the celebrated orchestral composers Stephen Jaffe, Scott Lindroth and with the Dutch postmodern minimalist Louis Andriessen. 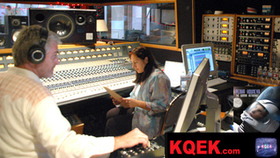 In 1999, she began her career in Los Angeles as the orchestrator for Emmy-winning composer Patrick Williams. Later that year, Cliff Eidelman gave Kouneva her first scoring break, the AFI thesis short Shadows directed by Mitch Levine. In 2000 while eking out a meager living as a freelancer, Penka brought her family over to Los Angeles, put her two sisters through school (including a Pepperdine MBA program for her younger sister) and gave them a chance at the American Dream. Currently she lives with her husband music editor and daughter in Los Angeles and enjoys hiking, swimming and time with her family and friends. Like the mountain climber on the CD cover, an artist's career is a steep journey. What inspires the artist' What gives them energy to keep pushing forward to create screenplays, stories, music, poetry, dance, video games' Various sources on creativity and inspiration served as a springboard: Game Developers Conference lectures by the visionary designer Jason Vandenberghe on the gamer's motivation; the books Art & Fear by David Bayles & Ted Orland and The Tools by Phil Stutz & Barry Michels. The deepest motivation came from Penka's own journey as a woman, wife, mother, artist and composer for film, TV, video games and Virtual Reality. 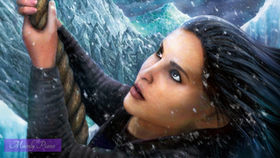 The CD cover art was inspired by The Rise of the Tomb Raider game and by a line from its trailer ("Only through life's adversities we become who we're meant to be"). 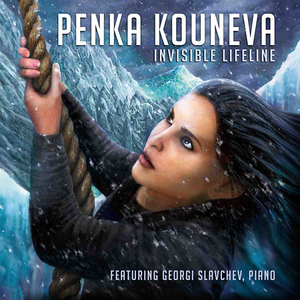 Composer Penka Kouneva has been a prominent talent in the film music landscape for many years. She has established fantastic collaborations as an orchestrator working with composers such has Steve Jablonsky, Hans Zimmer and Fil Eisler. Her voice as a composer brings something fresh and inspiring, as is evident once again with her album The Woman Astronaut. In today's industry, getting projects that really speak to your true talents and interests can be a challenge, Kouneva has found a workaround for that. By doing these standalone cinematic albums we can really hear the true voice of her as a composer, as the music is unfiltered without interference from studio executives or directors pursuing their own vision. This is her vision. Kouneva released A Warrior's Odyssey, where each track acted as a moment or chapter. Here with The Woman Astronaut, we have truly flowing narrative that Kouneva takes us on. A journey of a young woman growing up, pursuing her dream and journeying into the beyond.